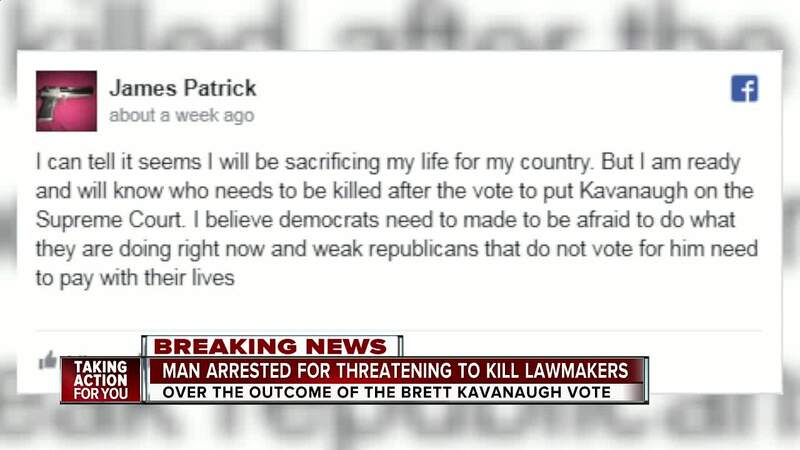 Deputies arrested a Winter Haven man after he threatened to kill members of Congress and their families on Facebook if Brett Kavanaugh wasn't confirmed to the Supreme Court. 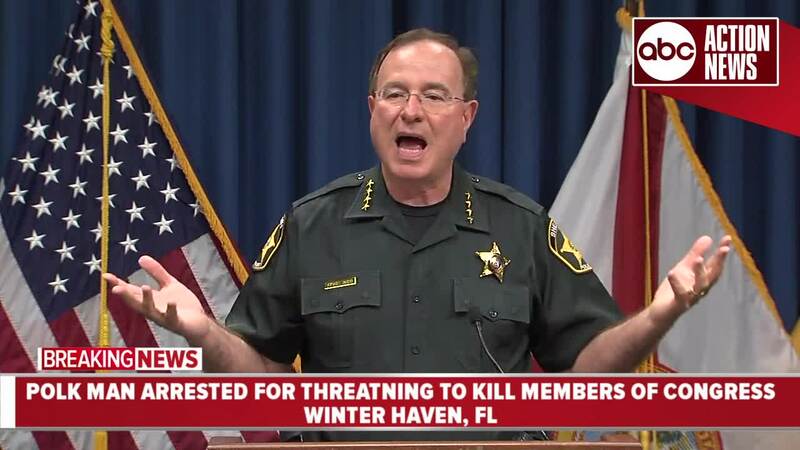 WINTER HAVEN, Fla. — Deputies arrested a Winter Haven man after he threatened to kill members of Congress and their families on Facebook if Brett Kavanaugh wasn't confirmed to the Supreme Court. Polk Sheriff Grady Judd will speak LIVE on this case at 4:30. His Facebook posts contained photos of him, photos of guns and ammunition. A search warrant was obtained for his house and deputies seized a 308 hunting rifle with scope, a 50 caliber Desert Eagle handgun, ammunition for both, numerous receipts from local gun shots and several used targets. "When we went to arrest him, he goes, Oh I knew it was pretty bad language, but I didn't think I would get in trouble because I didn't say it about any one person. 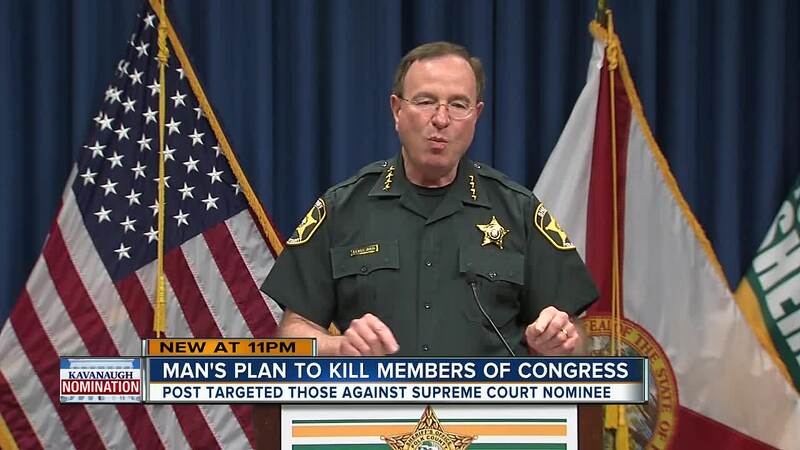 News flash, you did get in trouble," said Sheriff Judd. He was charged with writing a threat to kill or injure, according to the Polk County Sheriff's Office. Patrick's bail has been set at $500,000 according to the sheriff's office website.